Nikolai Viktorovich Levashov - a Russian scientist, and author of a whole series of fundamental works that provide a fundamentally new conception of the micro- and macrocosm, of nature and of humankind. The books of Levashov are a real treasure trove of new knowledge which is changing people’s perceptions about the laws of nature. 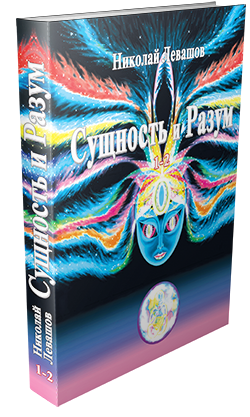 To read Levashov’s books is to give a boost to the evolutionary development of one’s essence. 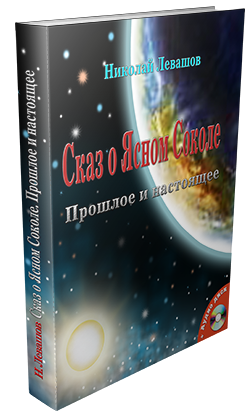 The author’s first book offers readers a new system of knowledge and concepts of natural laws which are necessary for every thinking self to understand what is going on with him, with people around him and with our planet. This book is for those whose aim is to penetrate the secrets of nature, to understand the miracle of the origin of life, what a soul is and what happens with man during and after death. Such concepts as soul, spirit, reincarnation, etc. stop being mystic and incognizable and turn into natural concepts conditioned by the evolutional laws of living matter. For the first time, the explanation of almost all phenomena of living and lifeless nature and the unity of macro- and microcosmic laws is given in this book. The author has succeeded in creating a unified field theory and uniting the concepts of Nature into a single whole. Using the theory of space heterogeneity the author continues to tear the veil of secrecy from the next riddles of nature. This time living nature and man is the focal point of cognition. The author formulates what the necessary and sufficient conditions are for the origin of life on planets. The simplicity and beauty of these concepts enables a reader, possibly for the first time in his or her life, to experience enlightening by knowledge, when there is a sense that knowledge becomes an inalienable part of self. In the first volume the author describes the nature and mechanism of human emotions and shows their role in the evolution of life in general and man in particular. He explains what love is in reality and this wonderful feeling does not lose its beauty because of this explanation, but on the contrary, allows man to understand what is going on with him and avoid unnecessary disappointments… Also, the author sheds light on the nature of memory and for the first time shows the mechanisms of short-term and long-term memory forming and on this basis reveals the mechanism of the origin of consciousness. In the second volume of the book the author clearly shows the necessary and sufficient conditions for the appearance of consciousness at a certain level of development of life. The understanding of the mechanisms of memory and consciousness forming at the level of the material bodies of a spirit explains the phenomenon of life after death happening in the state of clinical death. Owing to it, these facts leave the category of inexplicable phenomena and pass to the natural phenomena of living nature. The phenomenon of reincarnation leaves the category of religious and mystic concepts and also passes to the category of real natural phenomena. The same happens with the concepts of “karma” and “sin” which stop being the instrument of manipulation of people’s consciousness by state and religious figures and turn into manifestations of natural laws. The understanding of all this makes man truly free and gives him the opportunity to be the creator of his own life, as only man himself, not God or anyone else, determines his deeds and bears full responsibility (not just the moral one) for them. «Laws of nature are formed at the macrocosmic and microcosmic levels. Man, as a living creature, exists in a so-called intermediate world – between macro- and micro-world. In this intermediate world he has to deal only with manifestations of natural laws, but not with them as such. As a result, it is almost impossible to create a complete picture of the Universe. This occurs because man tends to use his sense organs to cognize nature. "There are several reasons why I decided to write my own biography. First, whenever I had occasion to talk about some events of my life, my stories would often come back to me in the form of the most unimaginable "folklore." In fact, my tales took on such "facts" and colorations that even I listened to them with interest. The second reason that impelled to such a "feat" was the fact that every now and then someone would appear and offer to write my biography—and every time something stopped me. Once I even agreed to have an American woman author garner my recollections onto audiocassettes and spent several days with her recording them. But then I changed my mind and gave up the offer. First of all, I had to expend a lot of time describing and explaining events that had happened to me. Secondly, to my utter astonishment, writers and journalists managed to distort everything despite their having my recorded recollections: this would include exaggerating, distorting facts and sometimes simply telling bare-faced lies..."
Leaving the USSR, I was sure that at last I was able to break loose from the "Empire of Evil" into the free world — America! I thought and wanted to believe that beyond the iron curtain was real freedom!...anticipating a little, I would like to say that I found no freedom whatsoever in the USA! On the contrary, I saw another parasitic system where people were converted into slaves whilst considering themselves to be free..."
The third volume continues the story of the fifteen year period of the lives of Nicholas Levashov and Svetlana Levashova in the United States. Leaving the USSR, they were hoping to find in America that about which so much is written everywhere, and about which the mass medium tirelessly broadcast - freedom! Freedom from persecution for having one’s own thoughts, freedom from total coercion to do only that which certain people want, who for some reason consider themselves the masters of all and sundry; freedom from the imposition of ignorance and the mentality of ‘intelligent animals’. However, much to our great surprise and regret, in the United States there was no freedom at all. There is talk about freedom! But it is just talk. Freedom itself has not been there for a long time. This country was definitively conquered by social parasites about a hundred years ago. And the associated system requirements were established even back then. It’s just that nothing has been said about this anywhere, so all Americans still think that nothing bad happens in life. In reality, a demanding and authoritarian regime has been established in the US for long time, effectively turning people into an obedient herd of ‘intelligent animals’, ignorant and submissive. And all the freedom and democracy exists only in movies continuously played on TV and in cinemas. In life nothing there is like this, and all very different. The author discovered this through his own experience. Tale of the Bright Falcon. Past and present. Nicolai Levashov, "The Tale of the Bright Falcon. Past and Present"
Reading the undistorted texts of Russian fairy tales turns out to be not only very interesting but also very informative! The "Tale of the Bright Falcon" contains so much interesting information that one can only marvel at the ability of our wise forebears to transmit information about themselves to their descendants through everyday, straightforward, short stories. Almost every word and every phrase in the "Tale of the Bright Falcon" is interesting, as many of them reveal a deeper meaning than appears at first glance. Through a careful and thoughtful analysis of the Tale, we obtain a lot of interesting information about the real past life of our people. For our distant ancestors, the Slavic-Aryans, space flights and communication with the gods was familiar, habitual and even mundane! However, for the Rus, who lived much later, between one and a half and two thousand years ago, there was much that was already not clear and readily understandable, and for this reason it was necessary to impart much of the Tale through simplified, fairy tale images. For the modern reader, looking for the truthful information about our people and its glorious past, an analysis of "The Tale of the Bright Falcon" presented in this book will be a source of very interesting and even unique information that will help restore the true chronicle of the ongoing struggle between light and darkness, and help us to understand who we really are. It very rarely happens that the destiny of a person, his deeds and his name fully coincide, as happened in Svetlana de Rohan-Levashov’s case. All her life, from earliest childhood, was permeated with an aspiration to Light, Knowledge and spiritual development. That her fate is unusual is the very least one can say. From the very beginning of her life she had to adapt to the fact that she differed greatly from people around her, that she could do a lot of things which were inaccessible and incomprehensible for others. "As any Russian I always has been interested in the history of my country. In my childhood I red a lot of historical novels, books on history of both Russia and other countries of the world. As I went on gaining and analyzing historical information available, my heart and mind began to fill with bewilderment and indignation. Every nation on Earth, independently their real role in the destiny of the world, wrote their own Great History using for this purpose both real events, folk legends and some times purely fictitious events. There would be nothing unusual in it but except for just one snag … everything applied to the history of Russia was filled with uncovered hatred of those who wrote its history. According to their opinion the Slavs lived in earthen pits up to the 9th century and were such primitive that even did not have their own state system and had to invite Varangians to govern. Also they lived in horrified ignorance until in the 10th century two saints, Cyril and Mefodiy, created the Slavonic written language on the basis of the Greek language shedding thus the "light of knowledge" on the obtuse Slavs. Also Mongols had kept Russian people in slavery for three hundred years and only when Peter the Great cut through a "window" to Europe and transformed Russia in accordance with European standards, Russia became the Great Empire, etc. Any well-educated person understands perfectly that history is written according to the orders of those in power and is rewritten following their requirements and desire. Therefore, it would be appropriate to ask who were these "historians" and why were they reluctant to create for Russian rulers something similar to that, what had been created for Jewish, Chinese, Greek, Roman and other nations and empires?..." По решению Обнинского городского суда Калужской области от 23.04.2010, определение Калужского областного суда от 22.12.2010, данная книга запрещена к распространению на территории Российской Федерации. “Abilities of the Mind 1” is a collection of articles in which Academician Nikolai Levashov shares the results of his research, practical, educational and healing activities. He talks simply about complex things. He explains how he learned to suppress hurricanes, purify the atmosphere, soil and bodies of water; quickly and painlessly heal the most terrible incurable diseases of today; to help people achieve a higher level of evolutionary development, and to create new forms of life. 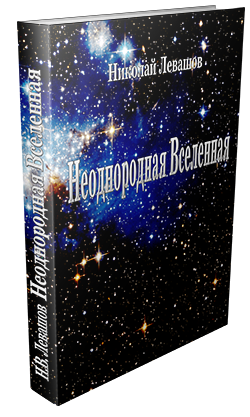 The second collection includes popular scientific articles written by Academician Nikolai Levashov over the past four years. In these articles the author tells simply, clearly and in a very interesting manner about the results of his research, educational and healing activities, accompanying the presentation of the material with numerous illustrations of his own. The span of his research interests is very broad: from restoration of the many thousand year history of the Rus peoples, through to the prevention of planetary and cosmic catastrophes. Their real, but hidden meaning and goals are revealed; explanation is provided of the causes of many events that are taking place seemingly by accident or for not entirely comprehensible reasons. 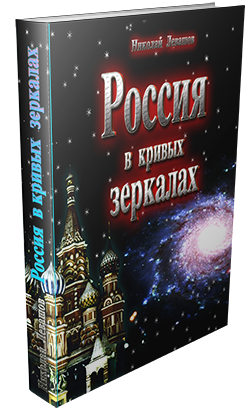 By the decision of the Central District Court of Omsk of 29/10/2013, dissemination of this book and articles in the territory of the Russian Federation is prohibited. The right to independent search for information is reserved for each citizen of the Russian Federation by the Constitution of the Russian Federation (Chapter 2, Article 29). По решению Центрального районного суда г. Омска от 29.10.2013, данная книга и статьи запрещены к распространению на территории Российской Федерации.